The Oakland Arts Review (OAR), an international undergraduate literary journal, is now accepting submissions for the Winter 2019 issue. 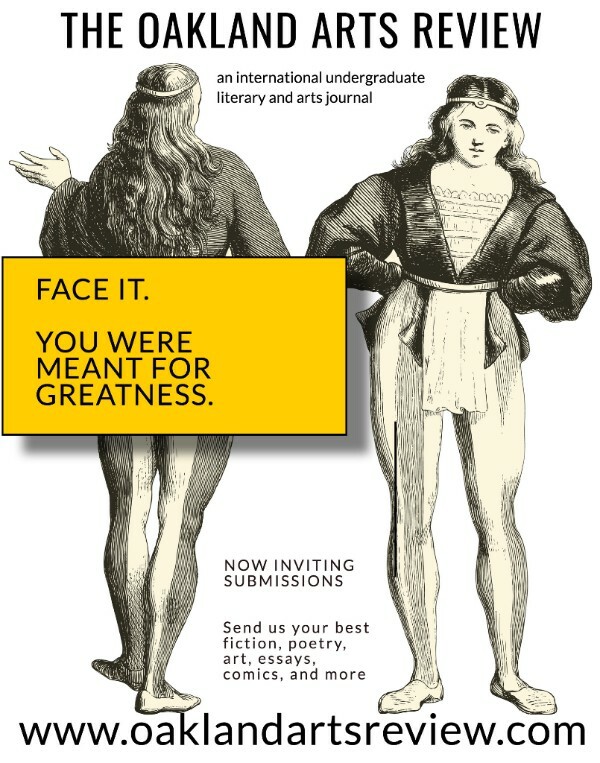 They seek high quality undergraduate work in the areas of poetry, fiction, nonfiction, comics, and original art (including for their cover). They are also accepting submissions for the 2019 Hajja Razia Sharif Sheikh Prizes in Nonfiction and Poetry, awarded to the best essay and poem on the experience of being Muslim — the joys and challenges — in America today. OAR has published undergraduate writers from colleges including but not limited to Emerson College, Hong Kong Baptist University, Northwestern University, Northern Michigan University, The New School, University of Wisconsin, Princeton University, Columbia University, and University of Iowa. Students must be enrolled as undergraduates at the time of submission. For more information or to submit your work, please visit the Oakland Arts Review submissions page here.